What is good governance? Co-operatives across Canada struggle with the issue of governance and how to effectively make decisions and implement policies that benefit their organizations. This webinar will present a model of good governance for co-operatives and offer insights into organizational policy being practiced in the co-op sector. 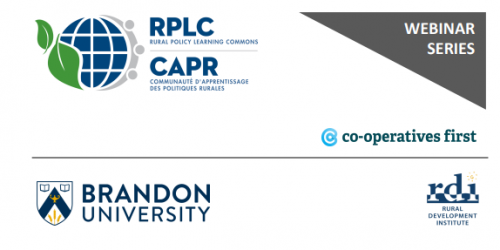 Examples will focus on rural Canadian co-operatives and the practical and policy implications of strategic decisions. Kyle White is the Education and Engagement Lead with Co-operatives First. His work focuses on developing and delivering educational and development services for Co-operatives First. Originally from Newfoundland and Labrador, Kyle has worked his way across Canada focusing on community economic development in rural and Indigenous communities. With degrees in Geography and Public Policy, Kyle’s educational background has focused on community development, governance, and organizational policy. Aside from his work with Co-operatives First, Kyle is a volunteer with a Saskatoon Lions Club and serves on the boards of two housing corporations.